Tencent Holdings Limited, a well-known Chinese social-networking and gaming giant, has offered to lead a $200 million round of fundraising for the popular California-based messaging app Snapchat. The bid counts among the largest China-Silicon Valley deals yet announced. Tencent’s offer to take a stake in Snapchat might come as a surprise to some but the deal makes sense in light of Tencent’s strategic objectives. WeChat, Tencent’s messaging app, enjoys the same sort of popularity in China as Snapchat does in the United States. The two services are similar in many ways. Tencent has also seen immense success with Weibo – known as “China’s Twitter” – and QQ, which has a staggering 818 million monthly active users. WeChat, which has around 350 million users within China and over 100 million outside China, is currently attempting to continue its expansion abroad. Tencent Holdings budgeted US$200 million for overseas marketing – an effort that enabled commercials such as one featuring F.C. Barcelona footballer Lionel Messi to win over the Spanish market, as well as ads with prominent Bollywood actors to target Indian users. While WeChat has seen some success in the Asia-Pacific region – including Indonesia, India and the Philippines – and other regions, its prized objective has been the U.S. market. 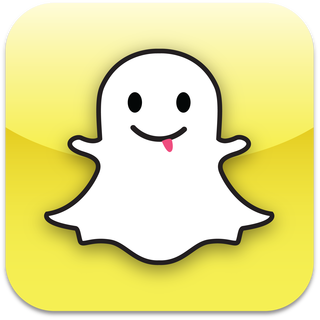 For Tencent, which has US$5 billion in cash reserves, the Snapchat bid provides a clear way in which to gain an understanding of the U.S. market. According to the Wall Street Journal, Tencent’s bid for Snapchat has sent the young, revenue-less company’s value into the stratosphere at US$4 billion, raising some eyebrows in the process. For comparison, the popular image-sharing app, Instagram, was purchased in its entirety by Facebook for US$1 billion in April 2012. Tencent’s bid for Snapchat is further evidence of its continued ascendance among the ranks of global social media enterprises. Analysts have projected that it could be a serious threat to Facebook’s position as the world’s largest social network – a threat that is propelled almost entirely by WeChat. Notably, only 10 percent of Tencent’s revenue originates in advertising, whereas Facebook makes 80 percent of its revenue from ads. The Snapchat bid isn’t Tencent’s first foray into serious investments in the United States by any means. The company has made major purchases in the video games industry, including a majority stake in Riot Games – which developed the hugely popular online game League of Legends – and a 48.4 percent stake in Epic Games (known for developing the Unreal Engine and the Gears of War series). The two purchases combined reflect around US$730 million. Tencent also holds a stake in Activision Blizzard. The news of Tencent’s bid for Snapchat, combined with Chinese eCommerce giant Alibaba’s investment in ShopRunner, indicates a broader trend of increasing Chinese investments in U.S. tech firms. The uptick in Chinese interest in Silicon Valley runs parallel to the general increase in the availability of venture capital for technology upstarts in the United States. For Snapchat, the Tencent bid opens an opportunity to target the Chinese market and users – something that U.S. technologists in social media have been largely unable to capitalize on given the strict censorship regime in China. Tencent’s sheer size combined with its long-established relationship with the Chinese government provides an opportunity like no other for Snapchat.